If you are involved in an accident, you should never sign anything without having a personal injury attorney review and approve it first. The problem is that you and your attorney are most likely the only ones interested in your needs. If you were in an accident, the insurance adjuster is focused on minimizing how much the insurance company will have to pay out. Keep in mind that the adjuster will do their best to ensure that you deal with them, rather than with a personal injury attorney. 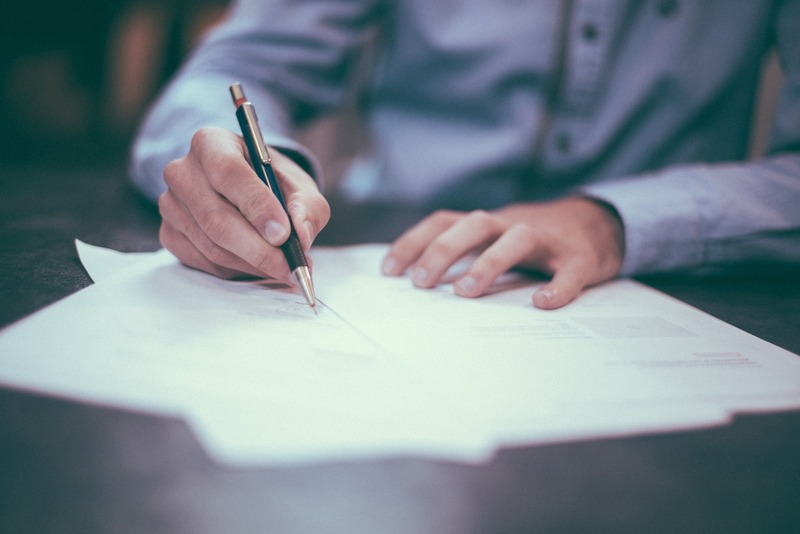 You may receive many forms or an agreement, but these and other documents should never be signed without your attorney. After an accident caused by someone else’s negligence, you will contact the insurance company and file a claim for compensation. An insurance adjuster will investigate your claim. The adjuster will call you to collect information, including contact information and facts about the accident. The adjuster will state it is to process your claim (and it is), but adjusters sometimes use this opportunity to get you to settle for a lower amount. They may also ask for information that the company could use to leverage you into accepting a lower settlement. At this point, not all but many adjusters may try to get you to sign a release of liability. Never sign this form without speaking to an attorney first. This document could surrender all of your rights to pursue compensation against the insurance company, person, or company that wronged you. As part of the initial investigation, the adjuster will ask you to provide a written or recorded statement. This statement summarizes your recollection of the events and can be used as evidence against you. The saying you hear on T.V. that “anything you say can and will be used against you” is absolutely true when you’re speaking with an insurance adjuster. Remember that the adjuster may try to trick you simply by asking for your side of the story. They will ask you questions designed to get specific responses that undermine and bring doubt to your claim. A lawyer can help protect you by anticipating and stopping these leading questions. The insurance company will probably ask you to sign a medical release because they cannot access your medical records without your permission. This sounds like a normal thing to provide, and you probably will provide medical information. However, the insurance company is asking so it can create doubt. They may research your medical history to look for any past event, injury, illness, or surgery that could account for the extent of your injuries. Do not voluntarily provide your medical information. A personal injury lawyer can go over your medical history and provide the information that is necessary for your claim. As you deal with an insurance company, it is important to keep some of these tips in mind. First, stay calm. You will likely be emotional due to the accident, the inconvenience, and your health concerns. The insurance company knows you’re upset and will try to use this against you. It is important to do your best to stay calm and never speak with an insurance adjuster while angry. You could say something you don’t mean that might undermine your claim. Take notes of everything you say and are asked by the adjuster. Take down the person’s name, title, company name, their contact information, the date and time of the conversation, and what you spoke about. Remember, nothing is too small or too specific to write down. Next, avoid discussing details of the accident. Your memory of the accident could be flawed and so could your perception. The insurance adjuster will be looking for inconsistencies or to catch you in case you misspeak. You should provide information, but only after you speak with an attorney. You can also have your personal injury attorney speak with the insurance company for you. Finally, do not discuss your injuries with the insurance company. Simply tell the adjuster you are being treated by your doctor and your attorney will provide the information when requested. If you were in an accident, call Attorney Dean Boyd today. Call us at (806) 242-3333 or Contact Us by email if you would like to learn more about the Services we provide. You can also visit our office at 4423 SW 45th Ave in Amarillo, Texas or 5012 50th St #103 in Lubbock, Texas to see how we can get you the compensation you deserve.